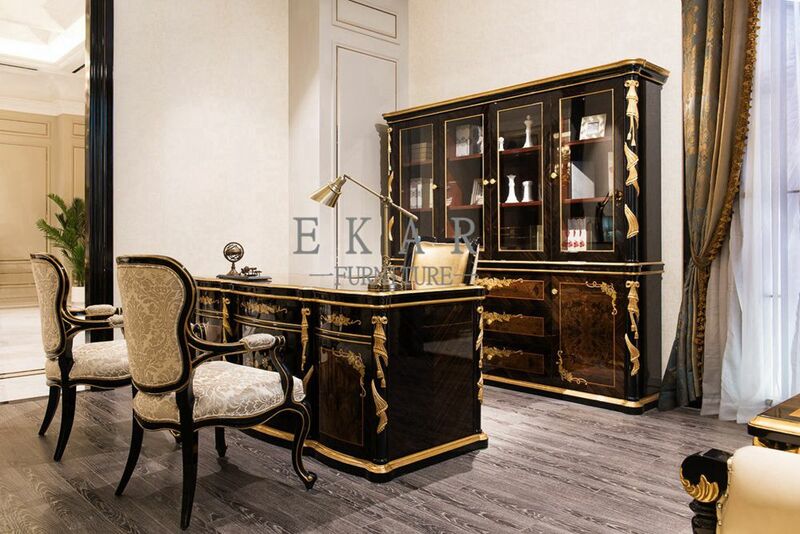 This home office desk features a large scale and elegant classic style for a grand look in your room. With sturdy wood construction, in a Rich black and gold foil finish, these pieces are sure to complement your decor. 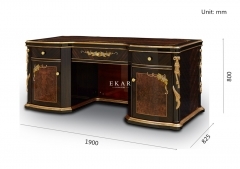 Welcome this executive double pedestal desk into your classic home office. 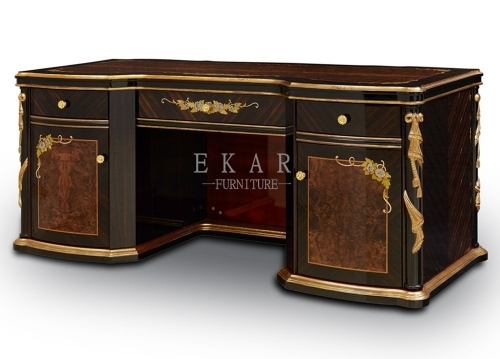 It is constructed of durable wood in piano lacquer finish, featuring a grand scale for a regal look.